Disney’s attempts to woo you into subscribing to yet another behemoth streaming service might just have added a very intriguing take on the Marvel universe. 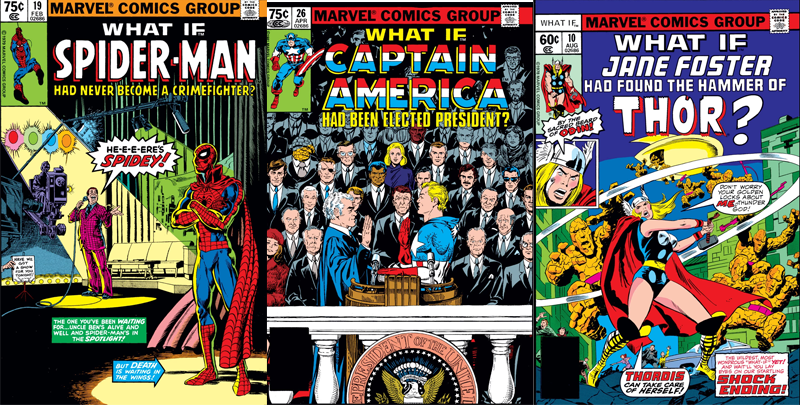 Slashfilm reports that Marvel Studios has a new animated series in development for Disney+—separate from the trilogy of animated shows recently announced for Hulu—based on the beloved alternate-story comic series What If? The series, which has run on and off since the late ‘70s, imagines alternate stories based on iconic Marvel Comics moments, ranging from the seriously speculative (what if Peter Parker had never been inspired by the death of his uncle to use his Spider-powers to be a superhero?) to the downright absurd (what if Marvel Bullpen staff Stan Lee, Sol Brodsky, Flo Steinberg, and Jack Kirby were turned into the Fantastic Four?). But according to Slashfilm, the new animated anthology series would offer adaptations of the original premises from What If (one specific citation is a story covered in What If? #47, about Loki finding Mjolnir before Thor did), as well as have the potential for original stories within that similar framework. But interestingly, it could even feature actors from the Marvel Cinematic Universe directly reprising their roles on the show, thanks to the time commitment of voice acting being less of a buy-in than appearing in a live action series. Although, that’s not stopping a bunch of them from apparently showing up in their own Disney+ shows anyway! But still, it’d be a fun way to interpret these alternate ponderings. The What If? plans are all unconfirmed for now, as is the exact launch date for Disney+. We’ll bring you more when we hear it. What if Edward Norton was still the Hulk? What If Ecceleston had been given something to do, instead of Thor 2 pandering to Loki fangirls? There wasnt any hope for Thor 2. I like the idea of a what if tv series and being animated it should be cheaper and able to go crazy with it's ideas. However, I won't be watching it because I have zero intention of paying for yet another streaming service. Unless Disney make their service something like $1 a month I won't be getting it. Same goes for every new streaming service.